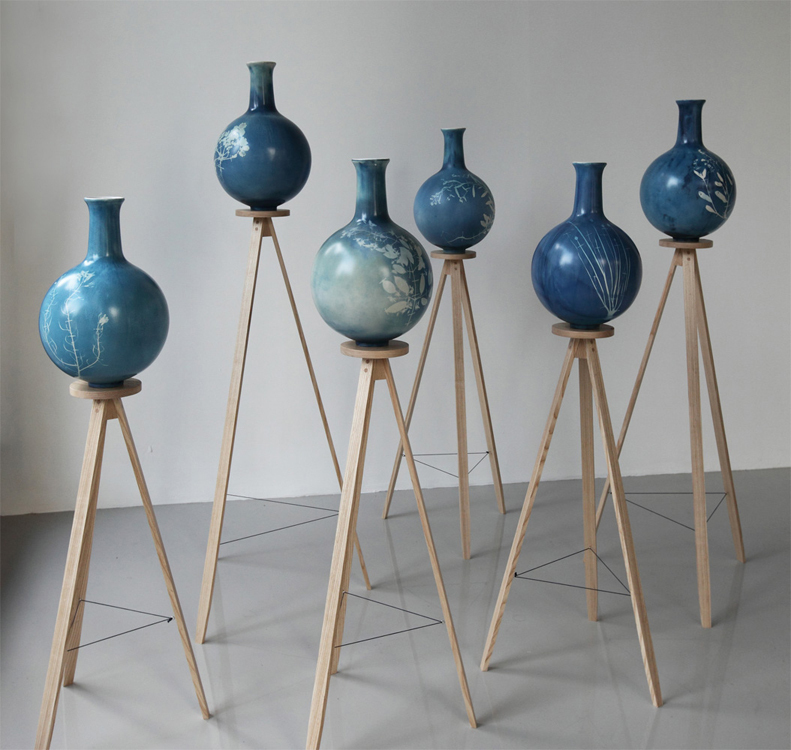 Blueware Vases are the result of a process that captures direct impressions of botanical specimens on ceramics using light and photo sensitive chemicals. Using age-old preserving techniques, humble weeds of inner London borough pavements are pressed, dried and then composed between plates of glass that function like photographic negatives. Working with light sensitive chemicals, the plates and tiles are then exposed under ultra violet light, which develops a photogram of the specimens in intense Prussian blue. What remains is a crisp white silhouette of the specimens, creating intricate floral designs of the subjects from root to tip.